Very well manufactured, easy to use, cooks well and looks stunning! The power cord is slightly on the short side - this will only be an issue if you don't have a socket within a reasonable distance of where you wish to place the microwave. 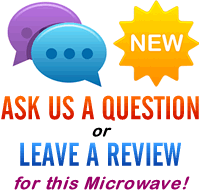 Looking to buy a large top of the range combination microwave? The FT 339 SL from Whirlpool may well be the ideal choice - offering a huge 27 litre capacity, with a 32.5cm diameter turntable fitted, as well as a substantial 950w power output. The first thing you notice about Whirlpool FT 339 SL is the design and build quality - it's obvious that Whirlpool have put a great deal of effort and thought into the design process - both in terms of aesthetics and the overall functionality and practicality of this combi microwave. Our testers all loved the look and feel of the FT 339 SL - it will suit the majority of modern kitchens, and would only look out of place in a old style traditional kitchen - for all other styles it will fit right in. As mentioned previously, overall capacity of the FT 339 SL is 27 litres which should be large enough for the vast majority of dishes and containers. The feature (or should we say features) that set this combi microwave apart from the competition are the massive selection of cooking options you are presented with: Jet Defrost, Jet Start, Jet Menu, Unique Crisping System - all of which we have reviewed before on other Whirlpool Microwaves - these function impeccably as always. Despite this selection of options, operating the microwave is simple, and can be used pretty much out of the box. So who is the Whirlpool FT 339 SL aimed at? Given the overall size and power output, it will appeal to many different users - however we believe it is best for a mid to large sized household - it will handle larger dishes but is also equally adept at smaller dishes. 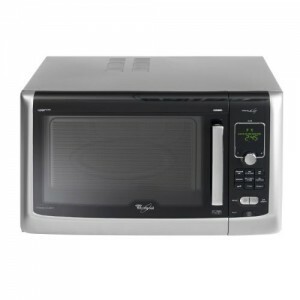 If you're after a mid sized solid combi microwave, then you need look no further than the Whirlpool FT 339 SL. Put simply, the Whirlpool FT 339 SL is an incredibly well built all-in-one cooking machine - it's very well manufactured, cooks beautifully, and is simplicity itself to operate. It's modern design will grace any kitchen, and overall our testers loved it - the large capacity and huge array of functions make the FT 339 SL both versatile and extremely good value - we highly recommend this microwave. Jet Start - simple one touch operation with no need to set power level and time separately, saving time and making cooking simpler.